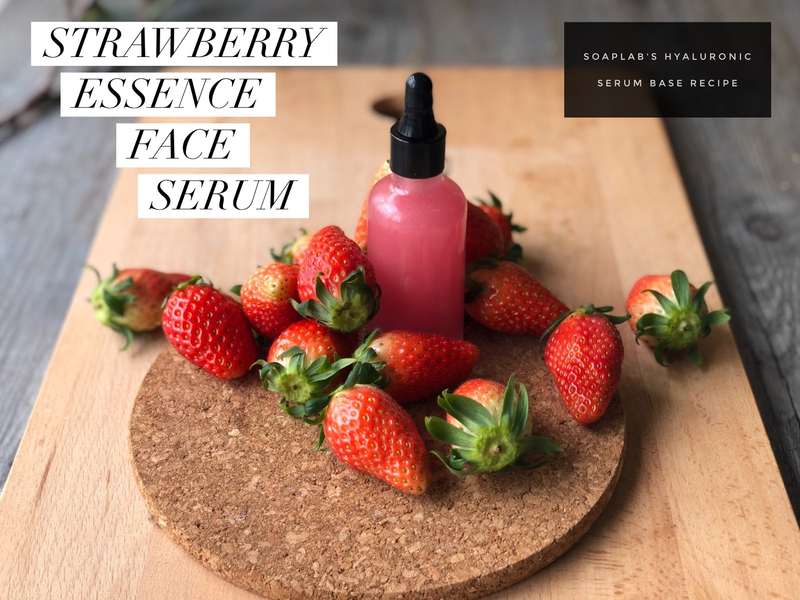 SoapLab Malaysia: Making Serum Using Fresh Strawberries To stay Young! Making Serum Using Fresh Strawberries To stay Young! Hi all :) Next in our serum series we wanted to do something fruity which was great for overall skin health and anti aging as well. We decided to make an amazing strawberry serum that will leave skin feeling extremely hydrated and healthy. First ingredient is of course, strawberry extract. It's extremely refreshing and soothing for skin. Plus, it's got a lot of antioxidants to slow down the aging process. Next, we use a little Vitamin C which is found in fruits like Kiwi, Papayas, Mangoes and citrus fruits. This vitamin helps to keep the skin healthy and young looking as it forms part of the building blocks of collagen. The base we use in our serums SoapLab's hyaluronic serum base which is a powerful humectant that binds moisture to your skin. This keeps it hydrated, looking plump, and yes....young! There's no way that your customers of all ages wouldn't love this serum.